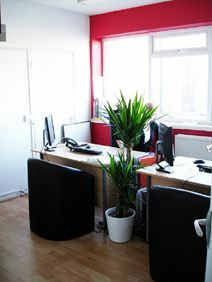 These comfortable offices offer spacious accommodation in the centre of Slough. Located within minutes’ of the town centre and the railway station where there are services to London Paddington, this space is ideal for young businesses looking for professional, flexible offices that offer value for money. Slough has may amenities, including restaurants, cafes, bars and the Queensmere Observatory Shopping Centre. This centre offers space to accommodate the office needs of any company, large or small and is well located on Slough Estates, Bath Road. From here there are excellent road links to the A4/M4, M40 and M25, with Heathrow just 20 minutes’ away. 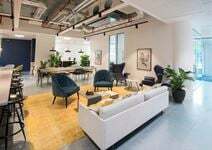 The offices come with the option for reception staff and support teams, parking, a coffee bar and all within the comfortable contemporary environment of a centre designed by Sir Norman Foster. Situated in Slough's first Commercial Quarter, this Grade A office space is the perfect space for the professional looking for space in this area. Slough Railways Station is very close by, and offers frequent services to London Paddington, Reading and Windsor & Eton central. Facilities include access to a modern kitchen area, meeting room availability, WiFi, a reception area and an on-site management team. This modern building is centrally located in the thriving borough of Slough. With street level reception to welcome you and your guests, you'll feel instantly welcomed. Access the unique business lounge to enjoy an informal meeting or to just take a break from the office. There is also a cafeteria and restaurant on-site to keep you refreshed throughout the day. The location is ideal for those travelling by public transport, with Slough's main station less than a minute walk away. Get to the centre of Slough in less than three minutes on foot, where you can enjoy the abundance of shops, restaurants and entertainment hubs to keep you busy in your out of office activities. This established business centre is located in the heart of Slough's business community while London Paddington can be reached in 20 minutes by train - perfect for those meetings in the city. The modern building provides furnished office space with high-end specification. Road access is excellent, with the A4 and M4 nearby, linking the centre with the M25 and M40, as well as Heathrow Airport for international travel. This centre is in an ideal location on the edge of town, with easy access to the M4 and railway station, offering direct trains to London Paddington. This imposing Victorian building was recently renovated to provide open-plan serviced offices. On-site amenities include professional meeting rooms, parking spaces, break-out areas for more informal get-together's, administrative support, 24-hour access and bike racks. This space benefits from impressive connections from the nearby railway Station, with London Paddington accessible in less than 20-minutes and Reading in less than 15. By road, commuting is not a problem either, with the A4 close by and Junctions 5 and 6 of the M6 only minutes away. On-site, there is high-speed internet access, 24-hour access, a coffee shop on the ground floor, and unique Beach Hut style meeting rooms. 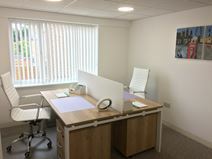 Within a prominent modern building and offering services for reception and meeting rooms, these high quality offices are within a few minutes’ walk of the town centre. There is flexibility in the space available from small units to bigger open plan offices and the centre is linked in to the Global Office network. 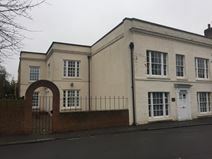 This office space is conveniently placed for the main bus station and local services on the doorstep include banks, shops, bars and restaurants. This Slough centre opens its doors in early 2019 and, with a major refurbishment having been completed, promises to be a first class options for those looking for space in this area. The centre now has an impressive design, with a striking new entrance and reception area. The centre is just a stone's throw from Slough High Street and is just 10 minutes walk to Slough station, which offers access to London Paddington within 20 minutes.